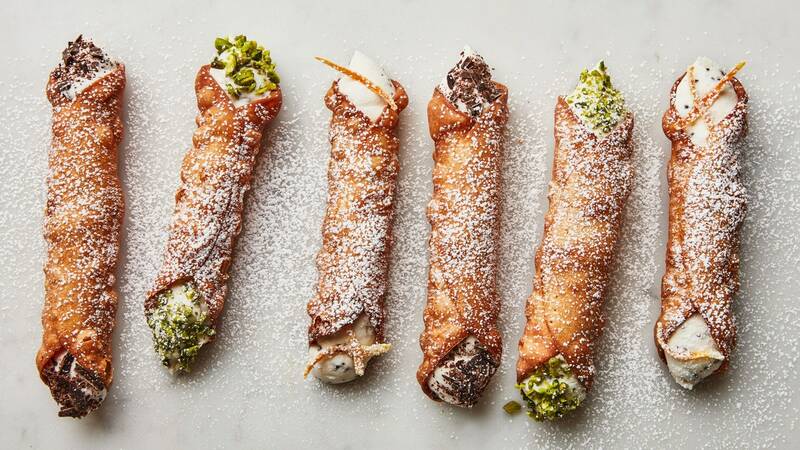 Victoria Granof, who developed this cannoli recipe, typically makes hers with sheep’s-milk ricotta. If you can find it, skip the goat cheese and cow’s-milk ricotta and use a total of 27 oz. sheep’s-milk ricotta. Alternatively, if you don’t want to use goat cheese, use a total of 27 oz. cow’s-milk ricotta. But try not to make this with supermarket ricotta if you can avoid it. Remember, the higher-quality ingredients you can find, the better the cannoli will be.